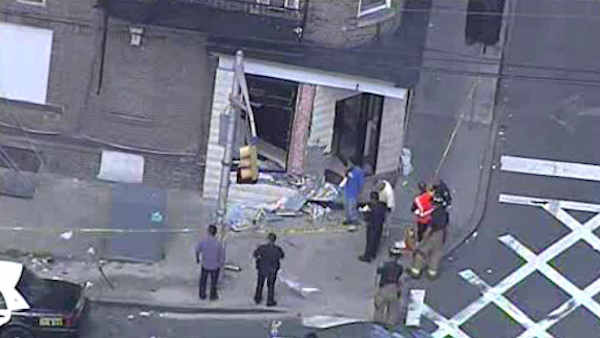 JERSEY CITY, N.J. (WABC) -- An out-of-control church van careened into a restaurant in Jersey City Thursday afternoon in the heart of lunch time, but thankfully no one was seriously hurt. Jersey City police and firefighters responded to the Desi Dhaba Cafe on Tonnele Avenue around 1:30 p.m. after the driver of a church van lost control and crashed. There were no passengers in the church van, and one man inside the cafe claimed a minor arm injury. However, he refused medical attention and walked away from the scene. The Building Department responded and deemed the building safe for the occupants to return.